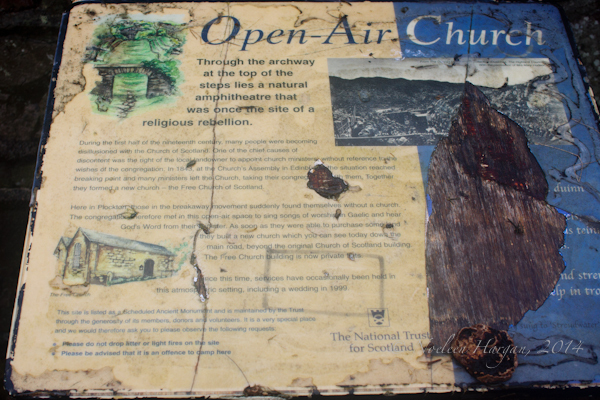 This roadside sign, well-battered by time and the elements, tells the story. 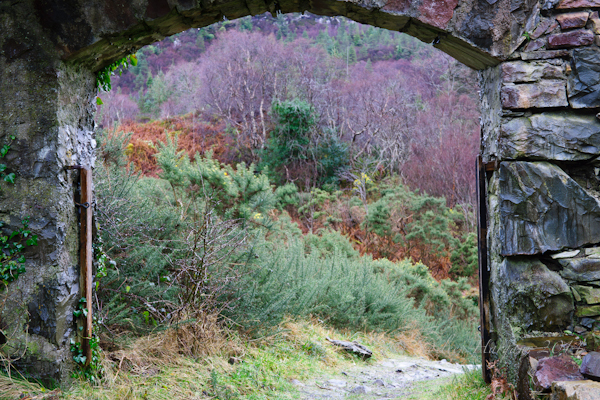 I love the way the colours of the stone used for the arched entrance echo the colours of the surrounding vegetation. This entry was posted on February 25, 2014 by Noeleen. 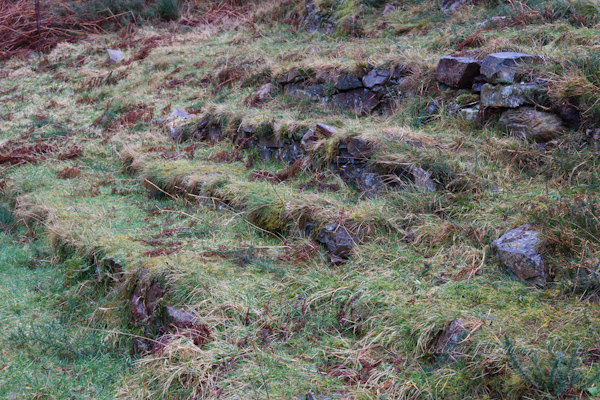 It was filed under landscape, Nature, Photography, Scotland, Travel, winter and was tagged with colours of stone, open-air church, Plockton, The Free Church of Scotland.